Engineering used to be all about technical skill. By the 1980s there came calls to include professional competency in the well-rounded engineer's skill set. Now in the spotlight: a third dimension, global competency. How can Purdue educate engineers to work with people who define problems differently from themselves? Late this summer, before they've set foot on campus for the fall semester, a group of Purdue Engineering students will have the opportunity to travel to Singapore for a two–week course titled “Culture, Creativity, and Invention.“ And because the course is open to students of all levels—pre-freshmen through graduate students—incoming freshmen can enroll and get a taste of a foreign environment before they've even learned what it means to be a Purdue Engineering student. That's a new model for study abroad in Purdue Engineering, and it reflects the drive and innovation with which the College of Engineering intends to expand its educational efforts to develop students who can function as global engineers and global citizens. Forty-plus years ago, Marshall McLuhan popularized the phrase global village to convey a world collapsed in space and time by mass media. Since then, the term globalization has become commonplace to refer to the economic changes—the increasing prominence of multinational companies, the controversies over outsourcing—taking hold as a result of a shrinking world. 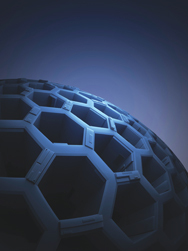 For 21st-century engineers, globalization's implications are profound. When ABET (the Accreditation Board for Engineering and Technology) formulated its Engineering Criteria 2000 for accrediting U.S. engineering programs, the agency set a requirement that graduates demonstrate "the broad education necessary to understand the impact of engineering solutions in a global and societal context." The National Academy of Engineering's Engineer of 2020 report, published in 2004, echoes the importance of the global context for the future of engineering, citing concern that if today's students aren't appropriately educated, "America's engineering preeminence could be lost." American engineers, the report notes, will need to be based abroad or travel around the world to meet customers, have proficiency in more than one language, be open to different ways of thinking and different social values, and appreciate how socioeconomic changes affect the U.S. and other countries. Against the backdrop, the engineering method as it's often framed—Given, Find, Equations, Diagrams, Solutions—falls short. What engineers need in addition, say educators, is global competency, the ability to work effectively in multicultural global environments or, more specifically, the ability to work effectively with people who define problems differently than they do. As ABET frames it, the global engineering professional functions in three dimensions: technical competency, professional competency (including leadership and teamwork skills), and global competency. Global engineering professionalism is complex, encompassing language skills, knowledge of world affairs, economics, the sociopolitical impact on problem definition, the ability to respond to cultural differences, and the ability to function on global teams tasked with technical work. 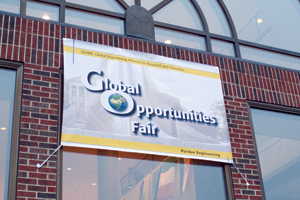 At Purdue, the College of Engineering launched the Global Engineering Program (GEP) in 2005 to address the need to better educate students for a fast-paced, interconnected, and diverse world. "Our graduates," says Dan Hirleman, the William E. and Florence E. Perry Head of the School of Mechanical Engineering and GEP's founding (and interim) director, "must work effectively in multicultural environments and in the global engineering profession. 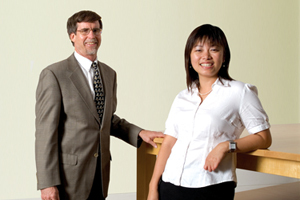 GEP's vision is for Purdue to achieve preeminence in educating engineers for global professional competence and in global collaborations for research and education. GEP coordinates most Purdue Engineering study and intern abroad programs, aiming to increase the level of internationalization and overseas study and internship opportunities for engineering majors as well as the level of international exchange of Purdue Engineering faculty members. The GEP team, drawn from across the College of Engineering, continues to synthesize an integrated portfolio of opportunities, programs, and partnerships. "The imperative for global engineering has become widely recognized in the last handful of years," Hirleman says. "Global educational experiences used to be kind of a luxury, especially in engineering, where accredited curricula don't have much flexibility. But now, being prepared to immediately function in the global workplace is a necessity." In the last three years, 314 Purdue Engineering students have taken engineering courses and/or conducted engineering internships in 29 countries. Beyond traveling, studying, and working in other countries, Hirleman envisions changes for students in their campus coursework at home. 'We need multiple pathways for students to raise their global competence. We envision globally inspired homework problems and projects in our courses, where you must comprehend that different cultures define and solve problems differently," he says. Indeed, says GEP assistant director Yating Chang, "part of my job is to support our faculty in identifying opportunities and including global themes in their regular courses." Dale Harris, the executive director of Purdue's Engineering Professional Education program (formerly Continuing Engineering Education) is actively identifying opportunities. He arrived at Purdue three years ago with a keen interest in globalization, backed by years working on global-design issues in the telecom industry and experience leading an internationally connected telecom-research center at Stanford. At Purdue, Harris has developed the graduate-level course "Globalization and Engineering," which examines globalization's impact on engineering practice. The course is offered in a classroom setting and, for the first time this summer, as a distance-learning course. Among other content, says Harris, "Globalization and Engineering" introduces students to the globalization of R&D, which drives a lot of job creation. In addition, EPE has ongoing initiatives to increase the number of distance-learning enrollments from outside the U.S., primarily with corporate partners in India and China. Currently, 12 percent of EPE enrollments are by students who don't live in the States. "What compels these initiatives to increase the numbers," Harris says, "is strategic interest. Both Purdue and the College of Engineering recognize the need for a global presence. Distance education is one way to reach out." Another way is through Purdue's Global Engineering Alliance for Research and Education (GEARE), a program that originated in the School of Mechanical Engineering and is now under the GEP umbrella. GEARE combines a domestic and international corporate internship with one semester of study abroad and a two-semester design team project that includes students from highly regarded international partner universities. Purdue's SURF (Summer Undergraduate Research Fellowships) program also has an international component, which landed biomedical engineering senior Jenna Miller in Spain last summer. "From a scientific perspective, I believe there is some global unity," she says. "Outside of the scientific world, many disparities must be overcome before common ground is achieved on a global scale." She's seen that stereotypes often prevail. "It's often easy to perceive individuals as representatives of an entire nation. At times I have felt like an American ambassador on topics ranging from music to international relations." Much of the work ahead will be in global understanding, not just in the lab, Miller adds. At Purdue, the momentum for global understanding is strong. Just last year, the University received the Senator Paul Simon Award for Campus Internationalization by NAFSA: Association of International Educators, the world's largest international education organization, and Hirleman received the 2006 Achievement Award from the International Network for Engineering Education and Research. The number of Purdue Engineering majors in courses abroad has reached an all-time high at 140 participants for the 2006-07 year. The College of Engineering is factoring global competency into its curricular-reform planning, and the School of Mechanical Engineering has developed a minor in global engineering studies. The time is ripe for more exploration and innovation. In the 21st century, the well-rounded Purdue engineer must function in 3-D.